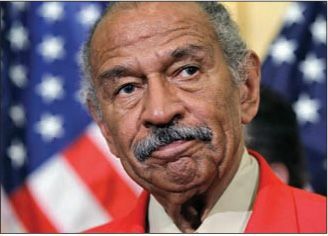 Rep. John Conyers refused to resign but stepped down as the top Democrat on the House Judiciary Committee this week as pressure increased on lawmakers to reform the secretive way Congress handles sexual harassment accusations. The Michigan representative, who has been accused of sexual misconduct by at least four women, allegedly paid $27,000 to settle claims with one of his accusers out of his congressional office’s funds. He denies any wrongdoing. Since 1997, Congress has paid out $17.2 million in 264 confidential settlements from a separate congressional fund. “It was a system set up in 1995 to protect the harasser,” said Rep. Jackie Speier (DCalif. ), who’s proposing legislation to end secret settlements. It’s time for Congress to end “the era of the skirt chasers and touchy hands,” said Julian Zelizer in TheAtlantic.com. That starts with reforming Capitol Hill’s absurd system for reporting sexual harassment, under which accusers must go through a 30-day “coolingoff” period before they’re allowed to file a formal complaint. Accusers who receive settlements are also required to sign nondisclosure agreements. “The existing system is a racket,” said Mike Allen in Axios.com. Members of Congress are effectively free to abuse their staff, knowing that “all of us taxpayers” will cough up the hush money.